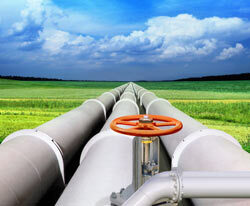 TransCanada Corp. (NYSE: TRP) stock has become synonymous with the Keystone pipeline. That's because it's the most drawn-out controversy in the history of North American oil production. There's no shortage of news on its environmental and economic effects. FOX News reported that an existing segment of the Keystone pipeline leaked 12 times in 2011. Opponents are concerned about the Keystone XL's route through a crucial Nebraska aquifer. The reserves there supply drinking water to over 2 million people and support the state's agriculture. And the number of jobs it would create remains uncertain, with TransCanada saying 20,000 and the API reporting half a million. 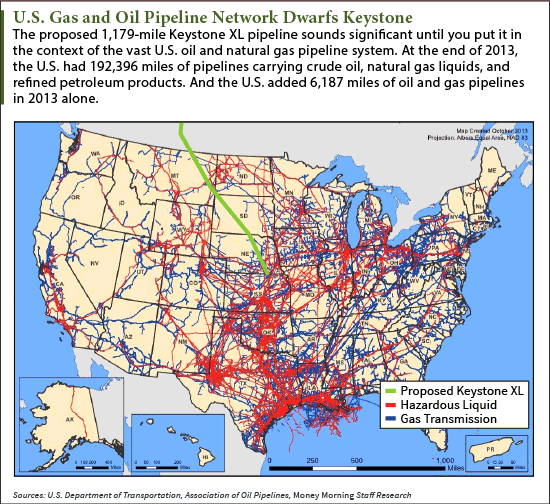 But the Keystone XL is irrelevant when considering whether to buy TRP stock. In fact, TRP stock is poised to gain handsomely in the near future – XL or no XL. Like most Washington legislation, the Keystone XL pipeline bill became a Congressional battleground. Republicans, who have majorities in the House and Senate, embraced it as a jobs booster. Most Democrats fought to kill it to prevent what they consider severe environmental harm. The bill passed the House 270-152 and the Senate 62-35. Unfortunately for the GOP, the Senate's tally fell short of the two-thirds majority needed to override a veto. President Obama made good on his promise to veto the bill, which he did on Feb. 24. "The presidential power to veto legislation is one I take seriously," President Obama said in his veto message to the Senate. "But I also take seriously my responsibility to the American people. And because this act of Congress conflicts with established executive branch procedures and cuts short thorough consideration of issues that could bear on our national interest – including our security, safety, and environment – it has earned my veto." What many people don't realize is the Keystone isn't the only cross-border pipeline seeking approval. The State Department has approved several other cross-border projects since TransCanada applied for its XL permit in 2009. The Seaway carries crude from Alberta down to Flanagan, Ill., where it connects to Enbridge's "Line 61" pipeline. "Line 61" transports crude south to Cushing, Okla., and connects to the Flanagan South pipeline. It ends in Freeport, Texas – the main Gulf Coast terminal. Canadian officials and the two CEOs opened the Freeport leg on Jan. 16. State and local news covered it. But it slipped right past everyone else – especially Congress. According to a 2013 Congressional Research Service study, the Seaway is one of 46 oil and natural gas pipelines crossing the Canada border. The Keystone XL's proposed 1,179 miles pales in comparison to the 60,911 miles of existing U.S. oil pipelines already operating. It's clear the Keystone XL debate is a dog-and-pony show. And the possibility of it not being built poses no threat to TransCanada's financial growth.